Fill one bottle with vinegar. Add 20-30 drops of your favorite essential oil (I use lavender oil). Screw on sprayer cap and gently shake. 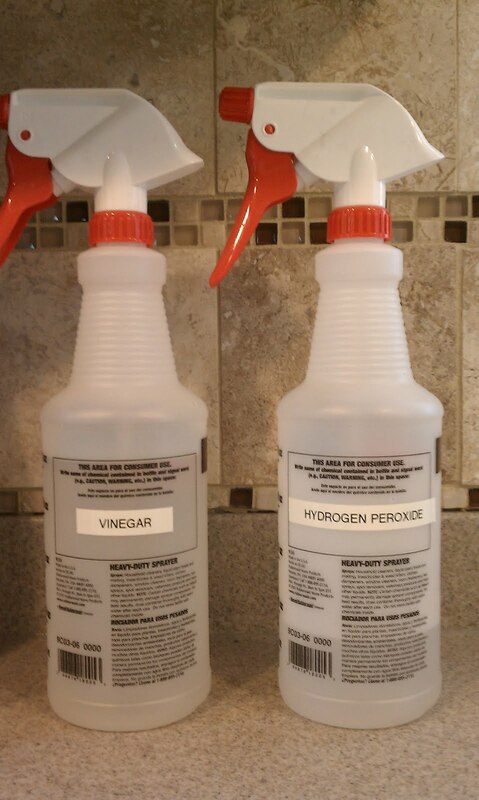 Fill one bottle with hydrogen peroxide. 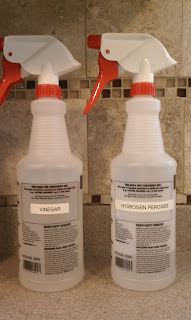 When you want to clean your counters or other areas, first spray with the vinegar mixture. Follow with a spray of hydrogen peroxide. Leave on for 1 minute and then wipe with a rag. It will leave your counters squeaky clean!